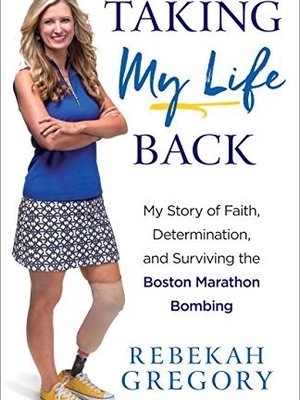 A detailed look back on the Boston Marathon Bombings and everything Rebekah has taken away from it. Thank you for coming and letting me interview you Sunday. You were very winsome to the people and it was high impact. People were very much encouraged. Just as I suspected, many people are struggling with the hits of life and loss. There's really so much pain among our people. And I think Jesus was very much glorified in talking about a personal relationship with Him. That's what we work for. Rebekah Gregory was perfect for our ladies Fabulous Faith event in Lubbock. She is so sweet and loved getting to meet and visit with her. The ladies left so inspired!! The Holy Spirit filled the room! Hearts were changed through hearing Rebekah's story of faith and determination! !